For many retailers, however, loyalty programs are a missed or neglected opportunity, according to Bob Negen, CEO and cofounder of WhizBang Retail Training. “Retailers think they will get the sale anyway,” he says. “Or they think they are giving away money or eroding their margins when in actuality they are increasing the total value of a customer.” Ignorance, in this case, is not bliss. “The reason they don’t choose to implement a loyalty program is: A. They are thinking incorrectly or B. They just don’t think at all,” Negen says. In today’s retail landscape where consumers can shop anywhere at any time and find the lowest price with a few taps of their smartphones, the importance of retaining existing customers is more critical than ever. Not only are loyal customers a more profitable revenue stream, it is more cost efficient to try and retain customers than trying to find and attract new ones. But just as how consumers are shopping is changing dramatically, loyalty programs must adapt to be relevant and attractive in this new landscape. Offering frequent shopper discounts, for example, is not nearly enough in the age of Amazon. Paul Voss, director of customer relationship management for Rack Room Shoes, says the trusty ol’ BOGO deal just doesn’t cut it like it once did to generate loyalty among its rewards program shoppers. Cheap is not the thrill it used to be, apparently. “Customers have a lot of options these days,” he confirms. “You need to make them feel confident that they’re getting the best available offers when they come shop with you.” Those offers now include members-only perks such as a special birthday reward, access to exclusive sales, earning $15 for every $200 spent and an app to track rewards. In the chain’s case, the efforts are well worth it as Voss reports about 10 percent of Rack Room’s customers bring in about 30 percent of total yearly sales. “Our loyalty program customers spend significantly more with us than our non-loyalty customers,” he reports, noting that members not only make higher dollars per transaction but also higher units per transaction. Tip two: Offer a variety of benefits and options. Kedar Deshpande, senior director of quantitative marketing and digital customer experience at Zappos, notes that while it’s hard to give one-size-fits-all advice to different business models, there are key guidelines to always keep in mind. “Putting all your eggs in one basket is not the way to go,” he says. “You should have multiple values to the program.” Deshpande recommends thinking of ways your customer can benefit other than just providing discounts. For example, he suggests birthday month goodies or certain time periods that allow for double the acquisition of reward points per purchase. Zinrelo’s 360-degree loyalty program also capitalizes on this idea of multiple values, awarding points not just for purchases but for a variety of other activities such as friend referrals, account creation, social sharing, email subscriptions, birthday bonuses and win-back bonuses. Essentially, the more creative the benefits, the better. For instance, Voss says any Rack Room Shoes loyalty member who calls customer service automatically gets bumped to the top of the queue. Other potential offers include extending a return policy, giving additional gifts with purchase, free shipping, exclusives and sneak previews. Nordstrom Rewards, for example, allows members early access to its highly anticipated anniversary sales. Customization is another helpful tip to creating a successful loyalty program, according to Bill Hanifin, CEO of Hanifin Loyalty. He cites Sephora’s Beauty Insider rewards program that allows consumers to create their own profile and receive trial products suggested via their buying preferences as an example. Along similar lines, Ann Taylor Loft customized an entire loyalty program around one target audience: teachers. It offers special discounts, exclusive sweepstakes, events and even grants. Another tip: Make your loyalty program as pain-free as possible. Rack Room Shoes did just that when it recognized that the initial requirement of an email address in order to join was a real pain. “Customers didn’t like giving their email at the point-of-sale because they don’t want to get a bunch of emails,” Voss says. “Plus, it takes the associate longer to complete the transaction.” The solution? Rack Room Shoes now requires only a mobile phone number to be given at the register. When customers sign up, they receive a text message that allows them to respond with their email address (hereby eliminating the high rate of misspellings that were happening at the register). And if they still don’t wish to provide an email, customers can remain part of the program and get periodic text messages with rewards or upcoming promotions. Voss says the changes have been a win-win for customers and employees—an important aspect to keep in mind. “Does this idea benefit the customer and store associates? If not, then that’s how you know it’s time to change your program,” he says. “The biggest mistake you can make is to build a great loyalty program but not promote it aggressively,” agrees Palnitkar, adding, “The program should be prominently featured in your communication to customers.” He advises to place the link to information about the program on the home page banner, header and footer of the store’s website as well as create a dedicated loyalty rewards page. In addition, there should be an introductory email and monthly email communication about the program. your loyalty program clearly and openly. No secrets, surprises or bait-and-switches. Signing up and participating in a loyalty program should be user-friendly and hassle-free. No delays or interrogations at the register, for starters. Variety is the spice of life so make sure your loyalty program can be customized to the different desires of your customers. Let them pick and choose from an array of reward offerings. Online, in-store and often. 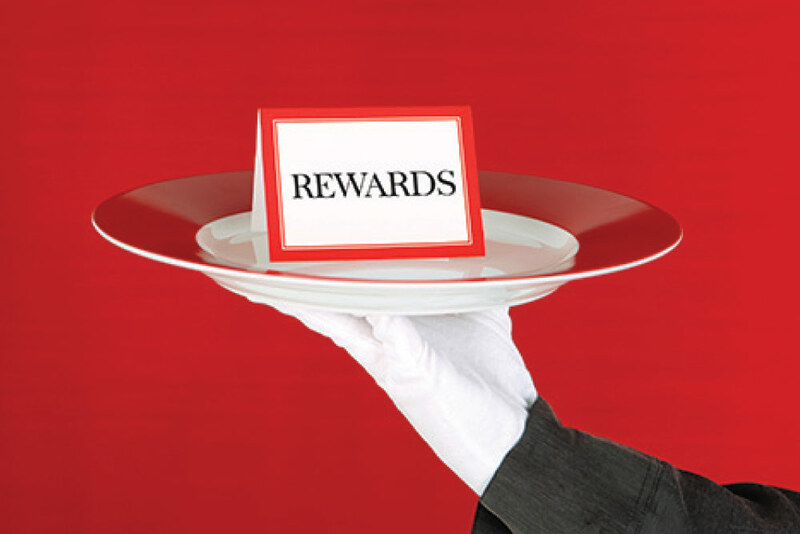 A loyalty program is only effective if customers know it exists. Engage and entice rather than neglect or annoy.